It's a nice place close to the next bus station with central heating and air-conditioning. You can start your day right with free coffee. At lunch time you can go for some nice food in the restaurants placed in this area or go to the food court in the Living Mall next to the office. You can have a nice walk around the Fusheng Park which is a three minute walk away from the office space. Between Jiangguo Street and Dongsanhuan Road, this center is situated in Beijing's CBD, surrounded by China's World Trade Center and hotel and retail facilities. The center is in a grade A building which has plenty of parking. It is within easy access of the subway and the Capital Airport via the 3rd ring-road. This elegant building offers affordable private serviced office space solutions within an ideal professional environment, with great views of Taipei. The building is close to many established companies. It is easily accessible, close to the MRT station, bus links and Taipei Song Shan International Airport. The centre is surrounded by upscale hotels as well as leisure, dining and retail facilities. With a great range of business facilites, along with a professional and friendly support team, this centre has all your business will need. A fantastic location, close to Nanjing East Road station and other forms of public transport. This is an excellent location in the heart of Taipei Citys business district. Close to the airport as well as other local transport links, this high-quality office building provides contemporary office accommodation in a variety of arrangements to suit your needs. Located on the 8th floor this centre is ideal for local and international companies looking to set up a base in the SongSan district. There are excellent public transport links to provide rapid access to other areas of the city and a variety of fully furnished and flexible office spaces and meeting rooms. Just six minutes away from the MRT Zhongxiao Fuxing station and about 15 minutes from the airport this modern workspace is fully equipped and furnished to provide members with a plug-and-play set-up so you can move in and start working almost immediately. This centre is surrounded by a host of major corporations, as well as restaurants, hotels and more. Easy to access, this clean and comfortable modern office centre provides efficient, fully furnished spaces to suit your needs. This fully-furnished centre offers a mixture of coworking and private office solutions. For your convenience, there are showers on site, postal facilities and conference amenities. Jump into one of the meeting rooms and make use of the TV screens to bring your ideas to life. Situated 5 minutes' walk from MRT Sun Yat-Sen Memorial Hall station and 1 minute to the closest bus stop, the centre is easily accessible by public transport. There is also a parking lot 4 minutes' walk from the space. In the surrounding area there is a wide variety of restaurants as well as bars and coffee shops. There are also supermarkets, shops and a hairdresser close-by. Within walking distance of Ximen Subway and NTU Hospital Subway MRT stations, this business and training center provides a variety of office spaces that suit 2 to 25 people and conference facilities for up to 250 people. This centre has nicely decorated office space available immediately with maintenance and amenities included in the rent. 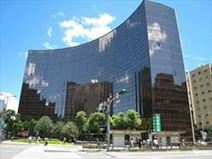 The centre has great features and security, in an ideal downtown location in Taipei's International Financial Centre. 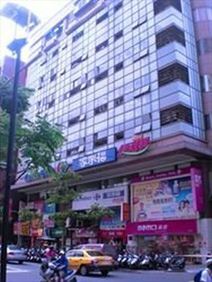 It is close to Taipei City Hall Station and is surrounded by retail and dining facilities. The centre is located in the heart of Taipei and it is near major transportation hubs. 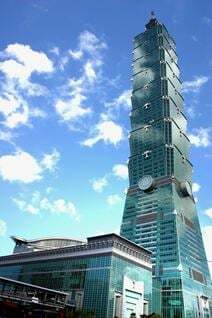 This is only a short walk from the Taipei Mass Rapid Transit (MRT) Taipei City Hall station and Taipei City Hall bus station. The centre provides conference rooms, shared offices, private offices, high speed WiFi, fax, overhead projectors, front desk customer service, and complimentary water, tea, and coffee, etc. 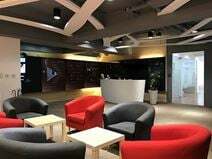 This centre provides serviced office space and meeting rooms and is located in the north of SongShan district. The building is surrounded by hotels and financial institutions such as Citi and Standard Chartered and has great transport links. Premium office space opening in July. Located in the vibrant city of Taipei. Members can take advantage of the center's luxury community areas such as lounge area, event and entertainment spaces. This center offers bright and modern work spaces, meeting rooms and phone booth due to the central location of the office you have various financial institutions close by such as land bank of Taiwan and First commercial bank to name a couple. You are surrounded by various cafes, restaurants and bar to take clients for meetings and transport is easy to access with over ten local bus services to choose from. In addition, the exquisite reception area, unparalleled complete equipment, so that members in the regular events and online meetings to experience a good time to communicate, to stimulate the spark of innovation inspiration. With office space to cater for two to six people and with views of Taipei 101 and Taipei Arena, this space is ideally located in the heart of the city centre and provides tenants with conference room access and is just a one-minute walk from the closest MRT station. Perfect chance to develop a new business with fully-equipped offices providing dedicated administrative assistant services. A stunning location which would definitely impress your clients and establishes a professional image. Located in the heart of the Nanjing Financial District in Taipei, along with other financial service centres and international corporations. 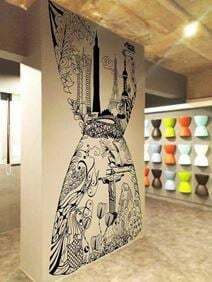 The office is close-by Nanjing East Road MRT station, Taipei Arena, Momo Department Store and Dynasty Hotel. With its strategic location in the vibrant heart of Taipei's central business district, this modern industrial style business centre boasts excellent access to transportation links and commuters will find ZhongZhang MRT Station just a short five-minute walk from the building. Tenants of the space benefit from exceptional business support services including multilingual on-site staff on hand to answer calls, handle mail and greet business guests. 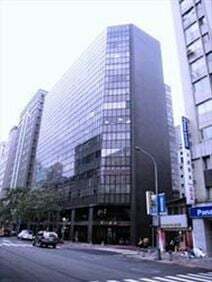 This modern office space is located on Nanjing East Road within the Zhongshan District of Taipei. Clients of the space can choose between both virtual office solutions and private serviced offices; tenants benefit from convenient access to public transport connections - Nanjing Metro Station is within easy walking distance, connecting commuters via the Songshan-Xindian and Zhonge-Zinlu lines with metros operating every 6-minutes. This centre provides serviced office space with modern facilities and superior fittings. A range of business support services is available to clients, and the centre is well located, being close to two major airports, as well as an entertainment park and MRT station. This business centre offers easy access to many restaurants, banks, hotels and more. Located in the heart of Neihu Science park, this is a popular choice for hi-tech companies. An excellent location, just a 1-minute walk from the local bus station. Comfortable and well-managed office space is available now in this brand-new business centre, which is set in a popular business area of the city – many international companies have made this area their home. The address is conveniently located close to rail, metro and freeway access, and two airports are also easily accessible. The centre is in Sec. 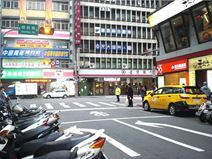 1, Zhongxiao West Rd which is in the heart of Taipei. The centre is surrounded by book store, clothing store, cafe, fast food shop and restaurants which providing a great access on your working day. The centre provides 24 hour access, mail services, high speed Internet / WiFi and free Starbucks coffee and tea for members daily use. It also utilizes SECOM Security System and CCTV in public area. This centre is located next to City Hall MRT station within a top XinYi District building. There are a number of furnished offices available on flexible terms that allow access to one of Taiwans major commercial hubs. Conveniently located in Tapei's business district, this building consists of first-class offices, elegantly decorated and sophisticatedly designed to offer a prestigious working environment. The district hosts numerous leading companies, institutions, restaurants, hotels, shopping malls and leisure attractions. Close to the motorway and to the underground station, the building is easily accessible. This striking building offers space in an ideal business environment, surrounded by top hotels and retail and banking facilities as well as several other established countries. The centre has an impressive decor and great views of the city, and offers conference rooms and a lounge area. 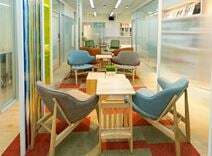 It is easily accessible, close to Taipei City Hall MRT Station and Taipei 101 Finance Tower. Located just 15 minutes from Songshan International Airport on the established Dunhua South Road, this business centre is within easy reach of the International World Trade Center and surrounded by a number of major international and local banks. 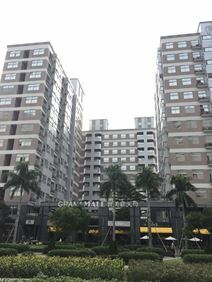 A restaurant, coffee bar, bank, retail outlets, metro station and garage among other facilities are available at this center in GuangZhou's Central Business District. It is easily and rapidly accessible, located in an ideal business environment only minutes from the subway station, metro No.1 and No.3 and other transport links. These offices for lease have been recently refurbished to a high standard, providing modern furnitures and comfortable environment. There is a private lounge and a café within this Grade-A building in the heart of Tun Hwa South. Shangri-la Hotel and Zhongshan Metro Mall is located in the same complex. This is Taipei's premier business and shopping district, within walking distance to Zhongxiao Dunhua MRT station. This center in Hongqiao's Economic & Technology Development Zone attracts top international companies. Near Hongqiao's city center, the facility is easily accessible, close to a metro station, the elevated highway and Hongqiao's International Airport. The Grade A offices come with secure car parking, and are also close to the Shanghai Mart and Shanghai Internet Trading Center. 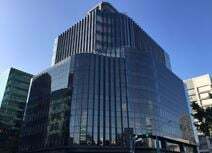 Located in the Xinyi CBD this centre puts you close to many of the world"s leading financial institutions and is situated opposite the World Trade Centre Exhibition Hall. It is only 15 minutes from the airport and a two-minute walk to the closest station. Situated close to the Taipei Xin-Yti Development District, this centre is close to major public transport connections. The centre is housed in a commercial building with excellent lighting and an impressive corporate feel. A range of business support services is available. A well-furnished work-space with a forest theme. The interior is modern, with plenty of character. Lockers are available to store your belongings during your stay. Air conditioning maintains a cool temperature. Exterior offices feature large windows enabling plenty of natural light to pass through the space. There is a coffee machine available in the kitchenette area. Situated on Xinyi Road. Xinyi Anhe MRT Station is three minutes' walk and it is one minute to the nearest bus stop. Parking is accessible one minute from the space. In the vicinity, there are many restaurants, cafes, coffee shops, and bars to try. There are also several hotels located nearby. A well-known building in the popular Xin Yi Business District provides the location for these offices to rent. A large number of multinational corporations have based their businesses at this strategic location - minutes’ walk from Taipei 101 and nearest subway station. Convenient access to both Taipei Domestic Airport and Taoyuan International Airport. Housed within a landmark building in the Xin Yi Business District, this impressive office space offers both private serviced office and virtual office solutions. The centre is nearby other central business districts, main highways, hotels, cultural centres and subway. There is a large shopping mall with a wide selection of cafés and restaurants within the same building. An impressive business address that takes your business to the next level. Situated in the heart of Taipei City, and surrounded by many major corporations, this modern serviced office centre provides stylish furnished office space in a friendly yet professional business environment. Located in a lively area of New Taipei City, close to banks, restaurants, and many other businesses, this quality serviced office provides a range of office space solutions in a modern, stylish environment. Ideal for developing your business in Taiwan. This fully-furnished centre is well-equipped. There is a combination of private offices and co-working solutions. The interior is light, modern and clean. There are white and black contrast walls, and wooden desks. Meetings rooms are available with blackboards, projector screens and comfy chairs. There is a print service, wifi, mailing facilities and free coffee. The centre is located on Zhongshan N Road, just 6 minutes' walk from Shuanglian Station. In the vicinity, there are restaurants to sample and shops to explore during your stay. There are also many coffee shops and bars. Next door you can find a bank and a 7-Eleven. Yongsheng Park is a 5 minute walk away, an ideal spot to enjoy your lunch. Located in the Taipei Nankang District and only a few paces from the Kunyang MRT Station, this easily accessible business centre offers comfortable, stylish office space with a bright lobby and relaxing gardens. Strategically situated with rapid access to other districts of Taipei, this centre provides serviced office space that is flexible and fully equipped making it the ideal business location for local and international businesses alike. Located in an area well-known for IT, financial, medical/pharmaceutical as well as automotive and logistics industries this Neihu building is within a two-minute walk of Gangqian MRT station, and provides cutting edge office space suitable for one to 20 people, as well as coworking areas.